Legend has it that back in 1888, Thomas W. Holley of Holyoke, Massachusetts had the brilliant idea of taking scrap paper from various factories and stitching them together to make notepads. The idea exploded. Today note pads are a major staple in homes and offices around the world. The earliest incarnations of the notepad were at first bound using a stitching method similar to binding in books, but later evolved to include comb edging, glue edging and spiral binding. In fact, did you know that spiral bound notepads were so revolutionary that they were actually featured in an article in Popular Science magazine in 1934? Since then, the popularity, and design has continued to evolve. Frequently, the most effective promotional items are often the simple pieces that customers use in their daily lives. Smart businesses purchase notepads in various shapes and colors, and tailor to suit the company brand, promote special events and attract new business. Sure, a stress ball or flashlight with a well designed logo attracts attention. But a well-designed notepad emblazoned with your business information is more than just a gimmick. It’s a simple, affordable advertising platform. Every time a customer uses your note pad, they see your brand. When they distribute notes to customers, family and friends, they are enhancing your immediate direct marketing campaign! Notepads also have a variety of functions. They can be used for note taking, stationery, to do lists, travel scheduling, and more. Creating memorable, multi-functional notepads is key. Think about how they will be used and work that into your design. Best practices in marketing suggest using an integrated marketing approach. Use notepads, along with two or three other promotional ideas. Mix and match for best results. Here are a few examples of how some Overnight Prints customers are using note pads to promote their small business. If you run a small shop or ecommerce store, turn your note pads into a shopping list complete with check boxes and lines. Don’t forget to include a teaser at the bottom that promotes something available exclusively at your store. If you own a deli or restaurant, design note pads that showcase your signature sandwich, dessert, or dish! 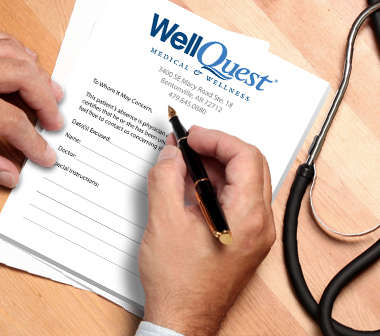 If you’re in the medical industry, create note pads that double as prescription pads, or incorporate a menu of your services or supplements. Turn your note pads into a to-do list and make sure you add “visit my business” as task number one! 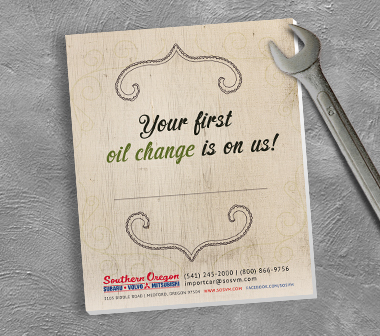 Use note pads to help promote customer giveaways or as a free incentive for just stopping by to say hello! Use the list above or come up with your own -Write down two ways you can use notepads to promote your small business. Go to an online printing service, look for notepads. Design and order your own. Now you are on your way to a new, clever cost effective way to grow your small business. Does your Business Card pass the 3 second Glance Test?